With the Fourth of July around the corner you can’t help but think about Old Glory. 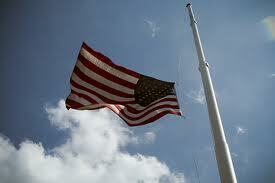 Here are some interesting facts about when to fly the United States flag at half-staff. There are some exceptions to these customary dates, though, when the President of the United States directs that the flag be flown from the half-staff position upon the death of great individuals or current or former government officials, as a mark of respect to their memory. 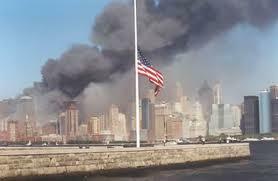 For example: On 911, for all our fallen heroes. 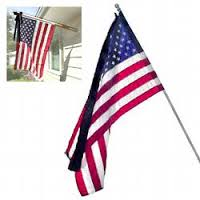 For flags that can’t be lowered such as those on many homes, a black ribbon or streamer can be attached to the top of the flag pole and is acceptable practice. Have a safe and happy Fourth of July. 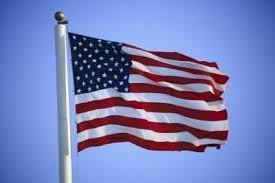 Next week more on Old Glory. This entry was posted in Blog, flying USA flag at half-staff, Old Glory, Towel Dry and a Good Cry, Triva, United States Flag and tagged flying the United States flag at half-staff, Old Glory, United States flag trivia by judydeluca. Bookmark the permalink.